So I bought my Durango about 6 months ago and unfortunately I’ve been dealing with the “premium” Beats audio system this whole time. It’s literally been just eating away at me. This is my first brand new car and with it being so sophisticated I was a little scared to just rip it apart! I didn’t really have a plan but I knew maintaining full stock features was a must and for the first time I wanted to run stealth. 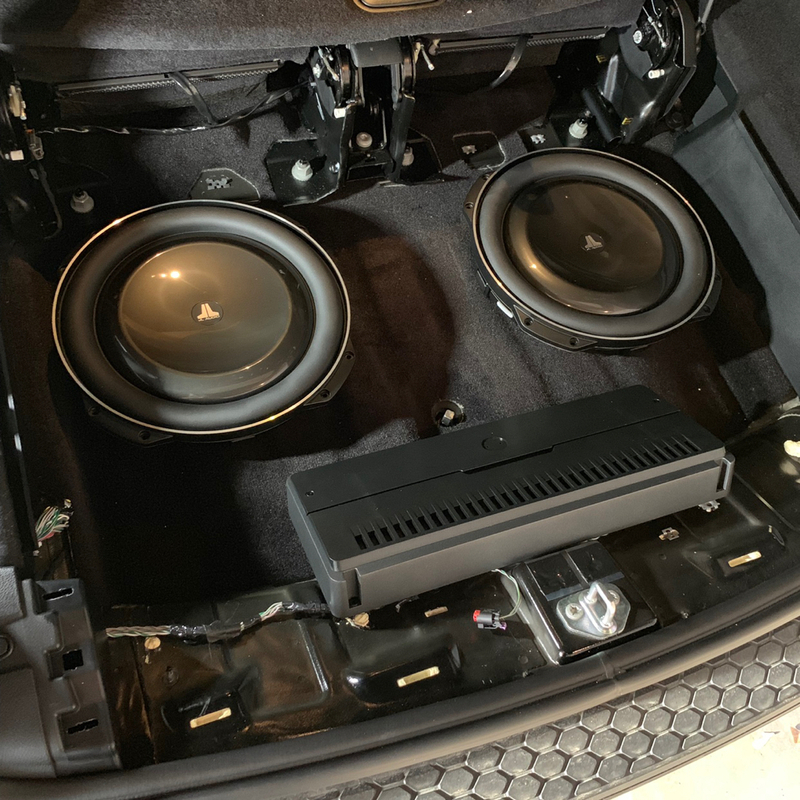 I’ve done all my past systems, always bought pre made boxes for simple installs but this time I wanted something more custom and with the Durango not having much space to run a stealth setup custom was the only way to go. I originally wanted to go with this layout so that I could maintain access to my spare tire and mount the amp in the enclosure somehow. Then I thought about making a rack to mount the amp in front of the access to the spare but still couldn’t find the room for enough cubic ft. 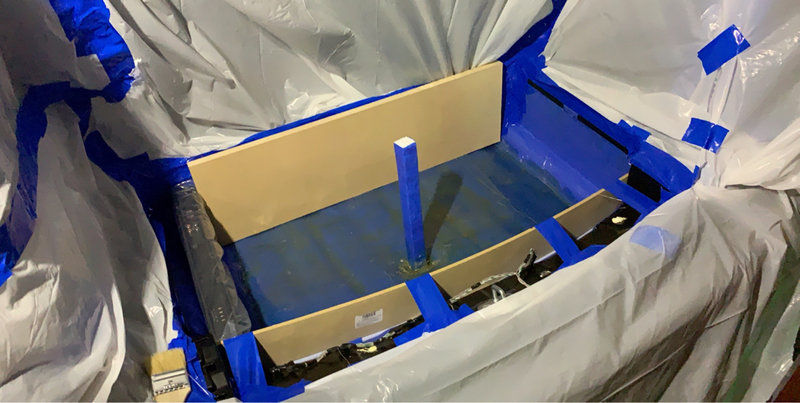 I ended up going with this layout simply to maximize enclosure size. 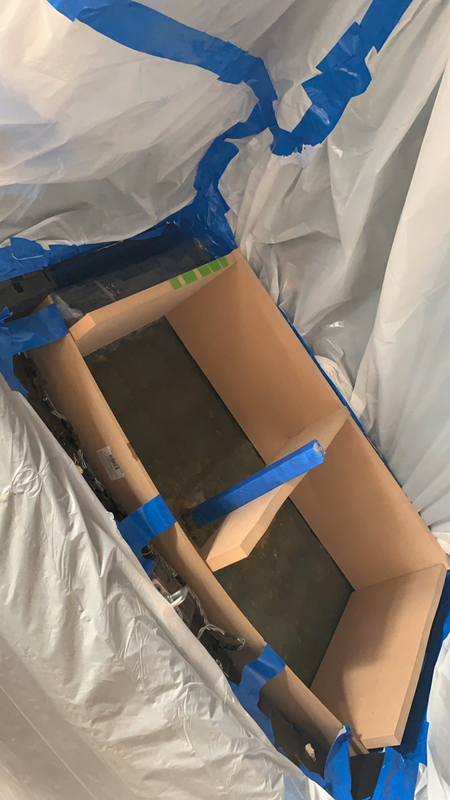 I knew I had to fiberglass a box and quickly began gathering as much information on FG boxes as I could. 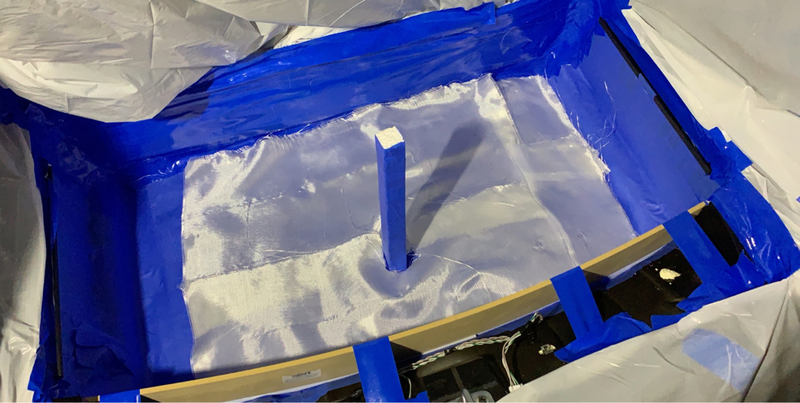 I had never worked with fiberglass and once I got started I realized I was in over my head but I was already in too deep! I taped everything off and mounted a piece of styrofoam to create a pocket for the spare access. 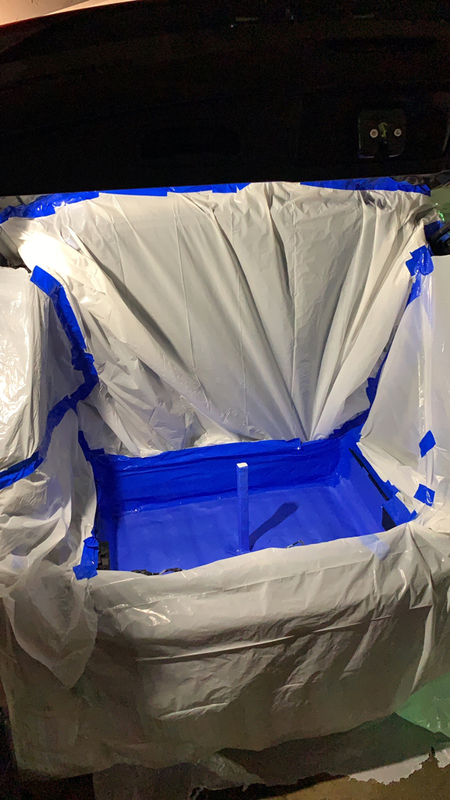 I was nervous of the resin vapors taking away my new leather smell so I was extra cautious and went a little overboard haha! I Laid out my vision and just ran with it, I rough cut my mdf and mocked it up and started glassing. 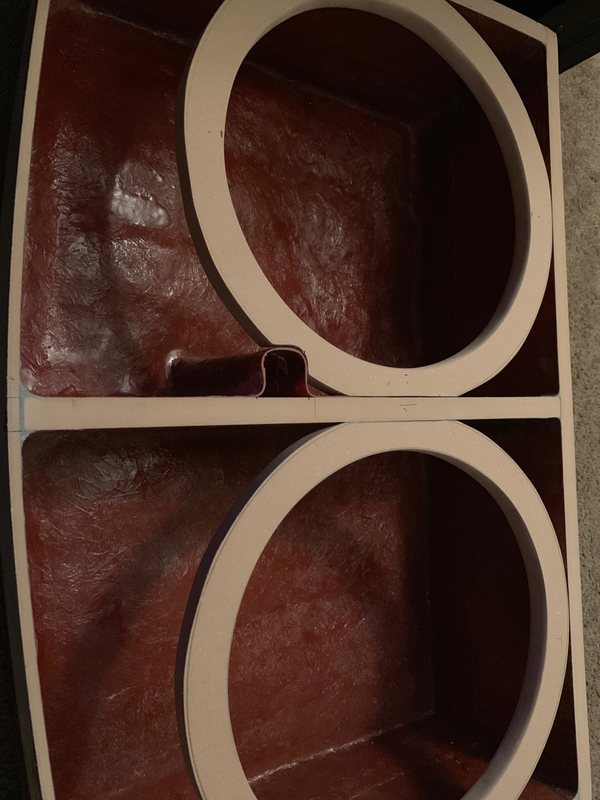 I got a little overwhelmed and tired of glassing at some point but fast forward and the box pretty much now finished I just need to sand and decide on a finish I will post pictures later but this is close to what I ended up with. 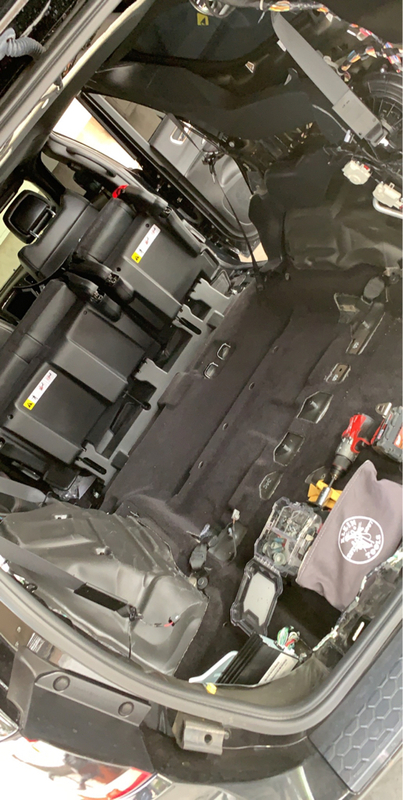 Today I spent a majority of the day TEARING the Durango apart everything I was scared to do I did lol after a month + into this project I felt myself procrastinating just being overwhelmed and it’s not going to finish itself so I jumped in! Here’s what we have now. 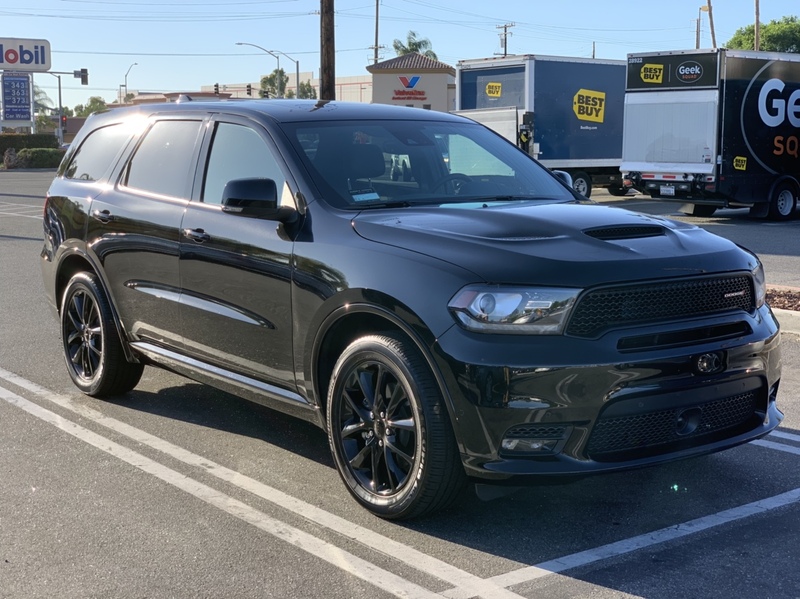 I will say after turning the Durango into a Jeep Grand Cherokee removing the 3rd row that has been folded down the whole 6 months I’ve had the car has me wishing I went a different route but after all this time fabricating the fiberglass box IM USING it haha. 1. If I want to scrap the Fix-86 and go a different route integrating the OEM system. I have been contemplating the PAC Audio Amp Pro and the Maestro. 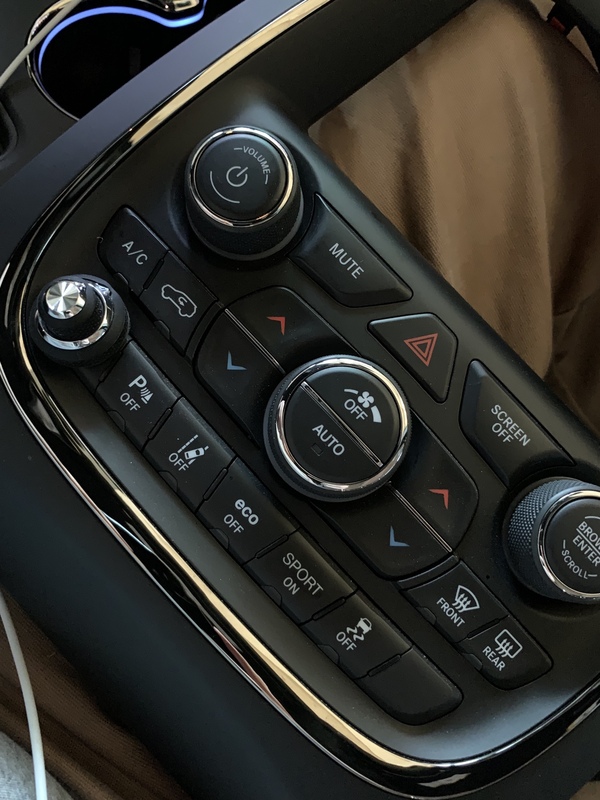 I REALLY don’t want to go cutting into all of my wiring and like I said I insist on keeping the rear proximity sensors, Bluetooth capabilities and everything else. 2. What to do about speakers. 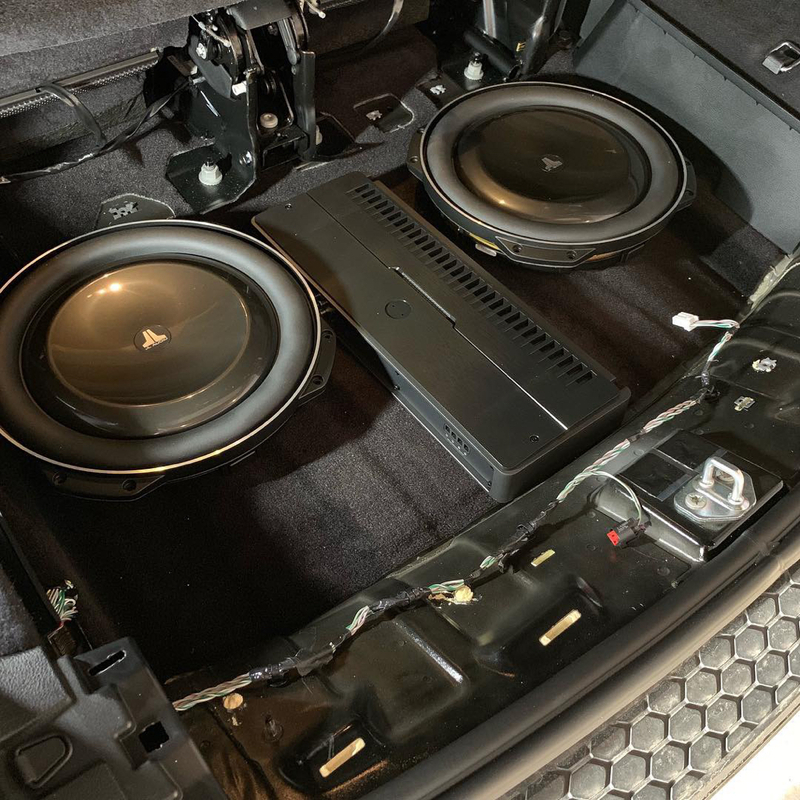 I was thinking about going with JL Audio C5 6.5 components in the front C5 6.5 coaxial in the back. And using JL Audio’s C7 3.5 Center speaker? Should I go Focals for speakers? What advantages do I have finding a 6x9 for the front? Do I need to replace the rear tweeters in the D Pilars for ambient noise? Am I going to run passive or active to achieve my goals? 3. 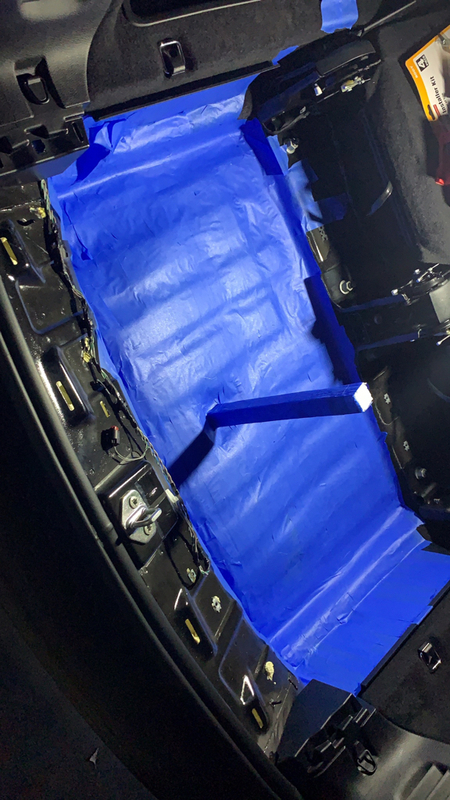 What sound deadening brand to use. Thank you if your still here I know this is a lot to read through! Very nice! Curious to see how everything turns out! I think a couple years down the road I'll most likely add another amp and switch out the fronts for something waaaaay better. I don't sit in the back of my Durango nearly enough to justify or appreciate a full speaker upgrade. But who knows decisions like these always change lol. Quick question, what’s behind the driver rear quarter panel, opposite the HVAC duct work? Looks like just insulation from your pic. I need a spot to mount an amp similar in size to your RD. Would it fit in your estimation? Thanks! 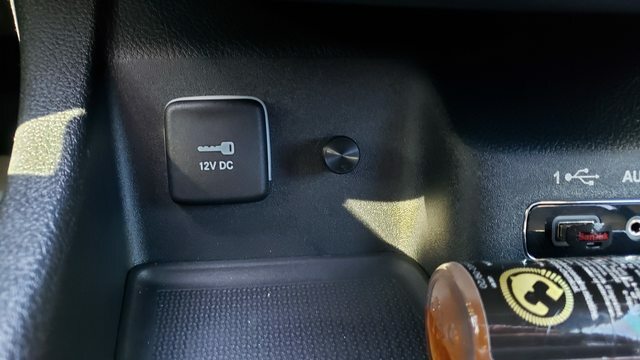 Small update finally give in and made an appointment with a local installer to have my PAC and sub installed,I wanted to do it myself but I just dont have the time at all lately. He is giving me a good discount tho. 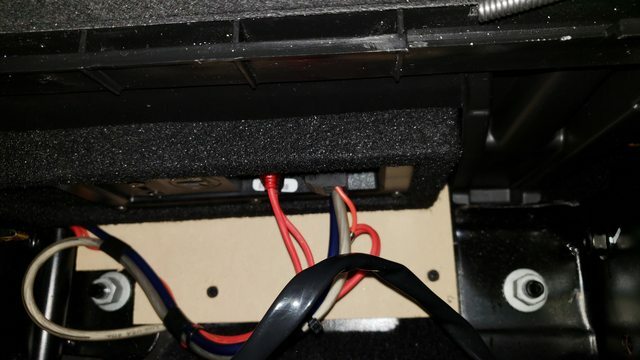 Im also having him run some extra wires for an amp Im planning on installing for the door speakers eventually. Been eyeing DSP's,the miniDSP C-6x8 or the JL TWK 88. 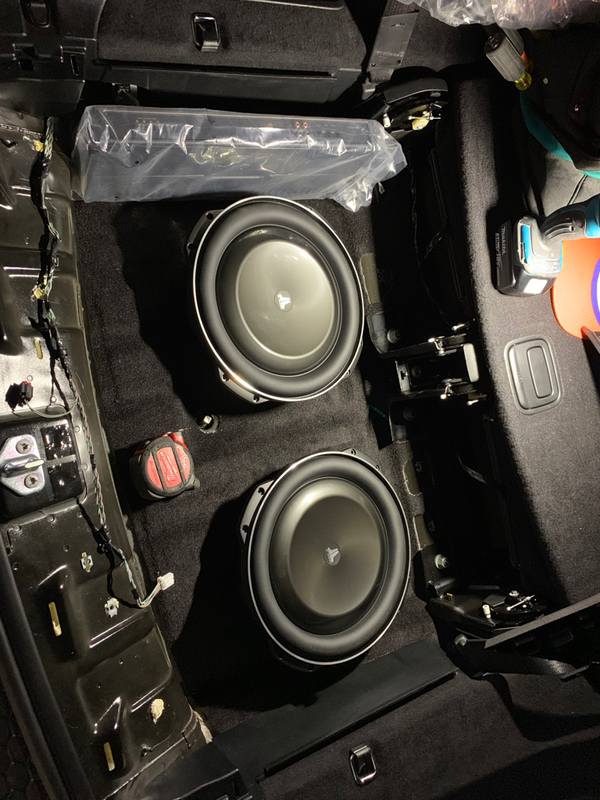 And for door speakers the Morel Tempo Ultras 692's (fronts) and Morel Maximo Coax 5's (backs) and throw some sound deadener throughout the doors as well,thanks Lawson for the breakdown. May upgrade the center speaker and will leave the back pillars alone. Gotta figure out where I could hide the amp first to keep the inside as stock as possible,aka totally stealth. Also going to thow on some Viper repos and 275-55-20's later in the year. Ill see if the installer can get some pics of the PAC/sub install. Last edited by furyan; 04-05-2019 at 02:22 AM. Got my JL sub and PAC unit installed finally. Good news is it fits,pretty snug,but it fits. And its a huuuuge improvement over the stock sub. So for those lurking the JL ACS110LG-TW1 Powerwedge+ will fit in the stock sub location. Now to fine tune it a bit. Next step will be door speakers and sound/rattle proofing. There are some panels rattlin from the sub in back so Ill start there. 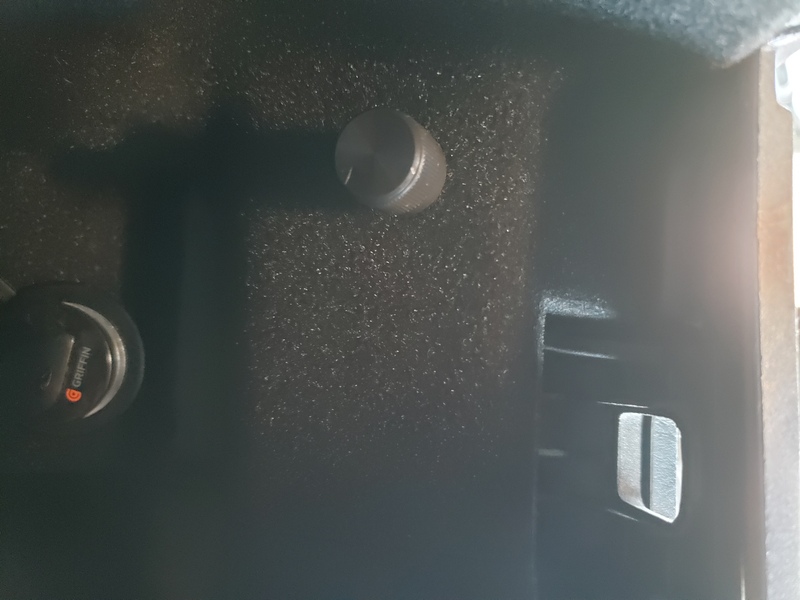 Couple pics show the PAC bass knob and how the sub looks when I pull back the spring loaded panel behind the last row of seats. How did you install it there brotha? I’m in the process of installing mine I like that spot better than mine I think! Here’s where I was going to install mine. ^ There is enough space there you have to remove the lower panel to get at it cleanly. There is a video on YouTube that shows removal of the center console. You think you could help me find the video? I can’t seem to find it bro thanks man!